IWASSA Co.: "Samsung" paid billion dollars for "Microsoft" for the use of the system "Android"
"Samsung" paid billion dollars for "Microsoft" for the use of the system "Android"
Pushed the company "Samsung" counterpart to "Microsoft" nearly one billion dollars last year, and that for the use of its technology in recent mobile operating system running "Android" of the company "Google". It was detected that figure in court documents provided by the "Microsoft" to assist them in legal proceedings against the "Samsung". And focus on the issue that prompted the license agreement "Samsung" to pay one billion dollars. The "Samsung" deliver one batch in late and now stopped completely for payment, claiming that the acquisition "Microsoft" to "Nokia" last year overturned the Convention. For its part, rejected the "Microsoft" of this claim, and said that the license agreement containing "explicit provisions" that allows it to buy other companies and get cash from the "Samsung". Has been appointed the agreement, which was signed in 2011, to endure seven years. The court documents revealed that in the second year of the agreement, which lasted from the month of July 2012 until June 2013, pushed the "Samsung" for "Microsoft" more than a billion dollars. The agreement stipulates that the amount you pay rise "Samsung" depending on the number of mobile devices operating running "Android", and that the recent selling. Has begun legal proceedings on the deal in August / August of this year after the late "Samsung" in repaying them. At that time, she said, "Microsoft" she began legal proceedings to recover approximately seven million dollars had been lost in interest payments resulting from the exchange, which arrived late. And rejects the "Samsung" now pay more money for the license agreement. She may take legal action against retaliatory "Microsoft" because the deal provides for the exchange of licenses to allow for "Microsoft" using techniques that are owned. It is believed that there are about 25 other company pay for "Microsoft" to get permission to use the technology in their smart phones and other devices operating system "Android", and the list includes both the "HTC", and "LG", and "Acer" and "Nikon". The "Microsoft" licensing program began in 2010 to collect payments from technology companies, which says it uses innovations. 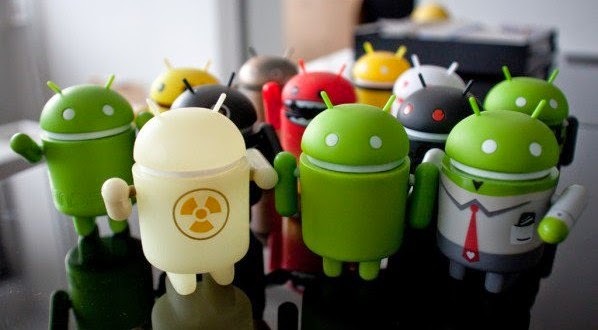 The system "Android" from "Google" more mobile operating systems popular in the world, and the number of payments that Taatlgaha "Microsoft" of the use of more than one mobile operating system "Windows Phone" belongs.